Lagos (AFP) - Nigerian President Goodluck Jonathan's rise to the top of his country's ruthless political world has been described as accidental -- or simply a matter of luck. The 57-year-old southern Christian -- the first head of state from the oil-producing Niger Delta -- was thrust into the presidency in 2010 following the death of his predecessor Umaru Musa Yar'Adua, a Muslim from the north. The mild-mannered Jonathan, often seen with his trademark fedora traditionally worn by Niger Delta natives, is from a family of canoe makers. He became a zoology lecturer and worked on environmental issues before entering politics in 1998. "I personally call him the accidental president. It was chance, good luck," said Adewale Maja-Pearce, a Lagos-based writer and contributing columnist for the New York Times. "He was plucked from obscurity because he was considered pliable." As for his distinctive name, his late father was quoted as saying in a biography of the president that he "called him Goodluck because although life was hard for me when he was born, I had this feeling that this boy would bring me good luck". His mother, Eunice, said although she had a history of lengthy labour in childbirth stretching for several days, Goodluck was born in record time -- the very day she went into labour. Fortune certainly seems to have favoured Jonathan as he grew older. An unconfirmed report has long circulated in local media that Jonathan, elected assistant senior prefect at his secondary school, grabbed the top post when the head prefect was expelled. His rise to the top was similarly fortuitous, becoming governor of his native Bayelsa state in 2005 after his predecessor was impeached over money-laundering charges in Britain. The night he was nominated by his Peoples Democratic Party (PDP) as Yar'Adua's running mate before 2007 polls, many Nigerians had never heard of Jonathan. In one of the US diplomatic cables obtained by WikiLeaks, Jonathan purportedly acknowledged his inexperience in a meeting with the US ambassador while he served as acting president during Yar'Adua's illness. 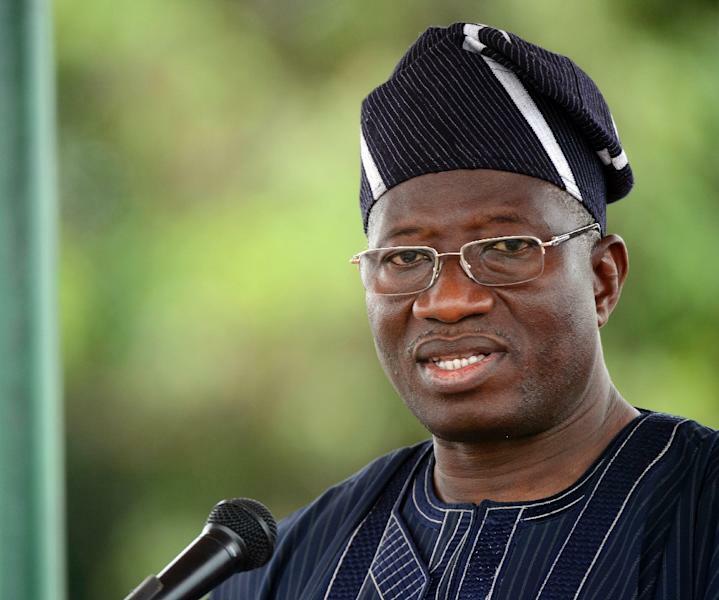 "I was not chosen to be vice-president because I had good political experience," Jonathan says. "There were a lot more qualified people around to be vice-president." A magazine once described the Nigerian leader as "hardly a man to set the pulse racing". 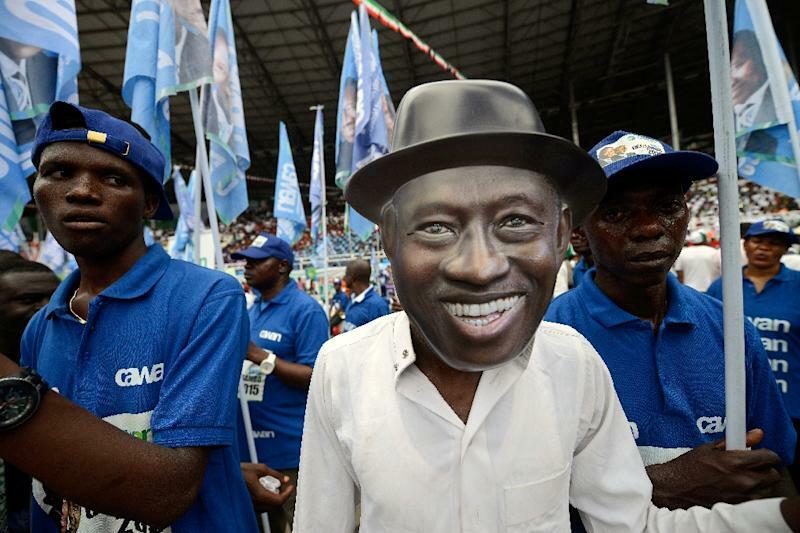 Though calm at public appearances, Jonathan heads a nation plagued by a range of crises. Nigeria is consistently ranked as one of the world's most corrupt nations and the north is wracked by the brutal Boko Haram Islamist insurgency. The main opposition All Progressives Congress, which has mounted a strong challenge to the PDP, has made Jonathan's perceived failure to tackle both problems a central plank of its campaign. Jonathan has earned praise however for staffing his cabinet with internationally-regarded technocrats, notably ex-World Bank managing director Ngozi Okonjo-Iweala, who is his finance minister. But despite living in Africa's top oil producer, most of the country's 173 million people live on less than $2 a day and only receive a paltry supply of electricity. Jonathan has been accused of failing to seriously take on such endemic problems. "He has always said 'oh yes, we will take care of that'," said Pat Utomi, a professor at Lagos Business School and prominent political commentator. "I think he meant to do well... but it seems there was never clarity in his head of where he wanted Nigeria to be."